If you are struggling with anxiety, depression, obsessive tendencies, attention defecits or even some addictive tendencies, there is a good change that you could benefit from a leg-up in the form of nutritional neurotransmitter support. The human body uses chemical messengers in the form of neurotransmitters to relay signals between and within our nervous system and our somatic body. Various neurotransmitters jump across the synaptic space between our nerves and other cells (muscles, sensory organs, glands…) in a highly controlled manner. The concert of making, transporting, releasing, binding, degrading and reuptaking various neurotransmitters controls everything from our breathing & heart rate, appetite & digestion, all voluntary and involuntary movement, our reflexes, and all five of our senses. Neurotransmitter signaling basically accounts for every nook and cranny of our personality: thought patterns, moods, emotions, desires, and the clarity (or warping) of the perceptions. Neurotransmitters also underlie the storing and recollection of all our memories, our dreams and even allow us to perceive and record our imaginations. 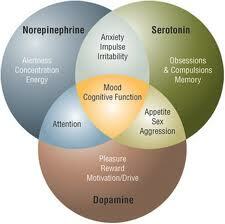 We can exert a deep control of our mental-emotional states by modulating our neurotransmitters. For better or worse, we are already well on the way to doing this. Here is a real life example. Caffeine is a competitive inhibitor of the inhibitory neurotransmitter adenosine. When the caffeine we ingest crosses the blood brain barrier, it competes with adenosine for spots in the post-synaptic adenosine receptors. When caffeine occupies the limited adenosine receptors it blocks the normal inhibitory effects of adenosine causing greater central nervous system stimulation. Only then do we experience the potentially strong stimulatory effects of caffeine on this single neurotransmitter. The use of antidepressants and other psychotropic drugs (those that affect neurotransmitters) has skyrocketed over the last decade. In a recent study, the U.S. Centers for Disease Control and Prevention (CDC) looked at 2.4 billion drugs prescribed in visits to doctors and hospitals in 2005. Of those, 118 million were for antidepressants, the most out of all drug categories. Blood pressure drugs were the second most common with 113 million prescriptions. My front-line therapy for an overactive mind, anxiety, stress, and even ADD is L-Theanine. This is a simple amino acid with a variety of health benefits. It is abundant in green tea. It relaxes the mind and body by increasing GABA and glycine levels in the brain. GABA and glycine are inhibitory neurotransmitters that work to offset overactive excitatory neurotransmitters. Theanine promotes a state of relaxation and calm and thereby, reduces stress, anxiety, and ADD. I recently discovered that chewables or lozenges were VERY effective. Click the picture on the left to buy my preferred brand. Paired with breathwork, L-theanine can help you find and explore a new normal of calm and relaxation. The most common family of antidepressant drugs are in the selective serotonin reuptake inhibitor (SSRI) class of drugs: Prozac, Paxil, Zoloft, Celexa. All of the SSRIs work by recycling the serotonin, thereby increasing contentment, ease, and general happiness. Natural ways to support serotonin levels are to take 100mg 5HTP, and Vitamin B6. These can be very effective and usually have no side effects. Can you get too much of the serotonin effect? Absolutely. It’s all about balance. For these reasons, never take tryptophan or 5-HTP support while taking an SSRI unless you are under the care of a skilled practitioner. Dopamine has primary effects on motivation and pleasure: the “reward pathways”. Indeed anything we do repetitively that produces pleasure is probably related to dopamine. Chemicals and activities that increase dopamine signaling promote the experience of euphoria, and can become… you guessed it: highly addicted. Many addictive drugs, such as cocaine, amphetamines and PCP decrease the action of the dopamine active transporter (DAT), a membrane-spanning pump that normally acts to move dopamine out of our synapses. When DAT activity is blocked, dopamine levels rocket up and increase dopamine binding and dopaminergic effects. When this flood of extra dopamine binding occurs, particularly in a part of the brain called the nucleus accumbens, users will feel the highly pleasurable “reward stimulus” and can be motivated to keep doing whatever they were doing over and over and over. The conditioning of this dopaminergic pathway is why crack-cocaine, meth-amphetamine, nicotine, other psychoactive chemicals and pleasurable behaviors are so incredibly addictive. How do we feel after the drugs have washed through and the DAT has bounced out the rowdy dopamine party? Terrible. Because dopamine surges are the very mechanism behind addiction, many people (especially those with addictive personalities) feel let down and can’t wait for more of whatever will bring the dopamine party crashing back in. Recovering alcoholics and drug addicts are so fond of coffee, cigarettes and cookies because they have overworked and unresponsive dopamine pathways. The recovering addicts may be off the big dopaminergic players, but they are often still desperately trying to wind up their burnt out dopamine pathways. Dopamine parties cannot last forever. How does the body respond when the dopaminergic pathways are getting overworked? By downregulating the production or function of the dopamine receptors. What does this lack of dopamine sensitivity push “users” to do? The only way for the user to keep the “high” going and avoid the unpleasant “coming down” of withdrawal is to increase amounts of whatever they are on (or to begin using stronger substances or combinations of substances) to keep pinging the dopamine-mediated pleasure pathway. This is where the rubber of tolerance and addiction hits the road. Obviously, it’s a loosing battle, and users can easily fall into a cycle where they are caught in a futile cycle: seeking to reach an unattainable high and avoid inevitable lows. Herein lies the core of addiction. Dopamine production can be naturally supported by 1000 mg L-Tyrosine 2x/day, and SAM-e 400 mg 2x/day. Adults with attention-deficit hyperactivity disorder (ADHD) often have a blunted response to amphetamines (like Ritalin and Dexadrine) which increase synaptic dopamine levels. This finding suggests that dopamine dysfunction may be involved with ADHD symptoms and may also explain why ADHD and substance abuse often go hand in hand. Those people with low dopamine sensitivity are naturally drawn to chemicals and activities that boost dopamine. Sadly for these addictive personas, down-regulation of dopamine receptors can and does occur springing the addictive trap more readily than for others. Wellbutrin/Bupropion is a norepinephrine & dopamine reuptake inhibitor (NDRI). This drug works much in the same was as SSRIs by blocking synaptic reuptake and thereby increasing the amount of neurotransmitters in the synapse, and binding. As the moniker NDRI indicates, the transmitters in question are the excitatory catacholamine neurotransmitters dopamine and norepinephrine. For the record, Wellbutrin also has a very slight reuptake inhibition effect on serotonin. In 1997, bupropion was approved by the FDA for use as a smoking cessation aid, and the producer (GlaxoSmithKline) the started marketing the drug under the name Zyban. The drug works by increasing the levels of dopamine in the synapse and thereby reducing the severity of the patient’s cravings and withdrawal symptoms. Bupropion can be used in combination with nicotine replacement therapies (gums and patches). Bupropion treatment typically lasts for 2-3 months, with the patient stopping tobacco use ~10 days into the course. Hormones cannot be discounted in this perception-mood-addiction game. Most hormones (thyroid, estrogen, progesterone, cortisol, etc.) affect our cells through complicated pathways that up- or down-regulate the production of proteins that then alter energy metabolism, electrolyte balance, and neurotransmitter production and signaling. The point is that nothing can make you see, feel or want anything without first somehow affecting neurotransmitter levels. That’s where the rubber hits the road and that’s why I focused on them in this limited piece. In my opinion, nutritional neurotransmitter support is the best way to fundamentally support people suffering from chronic depression, anxiety, OCD, chemical addictions and addictive behaviors. Hand in hand with lifestyle modification and cognitive/behavioral therapy, nutritional neurotransmitter support trumps the tragically commonplace standard of “care” option of using prescription drugs to mask mental-emotional symptoms and the underlying problems alike. GABA (gamma-Aminobutyric acid) is a self-regulating inhibitory neurotransmitter in the central nervous system. GABA helps the brain maintain equilibrium by reducing the excitability and erratic over-firing of excitatory Glutamate receptors. Studies have shown that GABA levels are much lower in those suffering from ADHD and insomnia. Unfortunately, GABA deficiencies can have an adverse compounding effect. Sleeplessness can worsen symptoms of ADHD. So maintaining healthy levels of GABA in the brain becomes crucial for mental health. This discovery has opened the door for using GABA supplements to treat ADHD. It’s become a safe, natural alternative for Adderall in adults and children. GABA, as a non-prescription remedy for ADHD, can help moderate neural activity. It increases levels of serotonin in the brain. 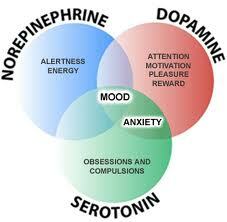 Heightened levels of serotonin can control mood swings and reduce stress and anxiety. Supplementing GABA may even diminish irritability and aggression. GABA also benefits other behavioral problems like hyperactivity and impulse control. Looking for more peace and ease is your nurotranmitter symphony? Consider that the amino acid taurine is the precursor for GABA, an inhibitory neurotransmitter. The amino acid theanine also works against glutamate, an excitatory neurotransmitter. Both don’t work for everyone every time, but 500mg GABA dosed away from meals, can significantly calm the nerves of people that are too wound up. L-Tyrosine, 5HTP, Taurine, GABA, Glutamate, Aspartate, Glycine are all basically nutritional amino acids that are fundamental building blocks for some of the most important neurotransmitters. These and other nutritional supplements found at many local vitamin stores can profoundly affect mood & mental-emotional status. Am I suggesting that anyone with anxiety, depression, OCD, or alcohol, cigarette or drug addictions run out and start taking these nutritional neurotransmitter supports? No. Although benefits can be had, it’s not that simple. For starters, they are best taken on an empty stomach at least 30 minutes before meals. Otherwise their benefits can be muted or inconsistent. Of more primary importance is that nutritional neurotransmitter supports can be abused–just as foods, coffee, alcohol, nicotine, street drugs and pharmaceutical drugs can be abused. Whatever the substance(s) de jour, the goal should never be to mask symptoms without addressing the underlying causes. In the same way that mixing drugs alcohol and pharmaceuticals is often problematic. Nutritional neurotransmitter support should NEVER be haphazardly mixed with alcohol, street drugs, antidepressants or other pharmaceuticals with modes of action that alter neurotransmitter physiology. It can be done to therapeutic or disastrous effect, and so it must be done very carefully. Effective programs could be developed, but this is not for amateurs! More than just noting the drugs, modes of action, and supplements involved, individual diet, lifestyle, health history and nutrigenomics and detoxigenomics are involved. The list of psychoactive medications that affect neurotransmitter levels includes: SSRIs (e.g. Celexa, Lexapro, Prozac, Paxil, Zoloft…), atypical antidepressants like Wellbutrin/Bupropion (a DNRI), Amitryptaline (a TCA) Effexor/Venlafaxine (an SNRI). Anti-psychotics, antisiezure medications, muscle relaxants, anti-anxiety medications… all must also be considered carefully. A word about anti-psychotics and our good friend dopamine: Thorazine is a powerful anti-psychotic medication that bocks dopamine receptors causing the body to make more dopamine receptors on the post-synaptic membrane. This causes the dopamine system to become hyper-sensitized. If the thorazine is stopped, the dopamine blockade ends, then even average amounts of dopamine can cause spasmodic ticks known as the movement disorder: tardive dyskinesia. This is just one reason why if a patient is taking anything psychoactive, they should receive qualified personal counseling with a knowledgeable orthomolecular physician before trying nutritional neurotransmitter support. This is not your average MD/DO/ARNP or even ND. This training is critical in order to get the most benefit and to avoid potentially dangerous interactions between the nutritional neurotransmitter supports and the drugs. For patients using alcohol, cigarettes, street drugs or prescribed drugs, I first look into the individual’s lifestyle and health history and determine what constellation of factors brought on the symptoms and “self- medicating” in the first place. Then I support my patients getting off any nonessential medications by various lifestyle supports and, when appropriate, titrate in specifically tailored nutritional neurotransmitter programs at the right time and pace based on a holistic snapshot of their entire situation. Done carefully and correctly, the nutritional neurotransmitter support can often replace pharmaceutical and recreational drugs and other chemical addictions altogether while at the same time supporting optimal mental health and laying the foundation to breaking addictive habits. Even better news is that nutritional neurotransmitter support is inexpensive, safe, has few if any side effects and, unlike pharmaceuticals are rarely indicated for lifelong use. One of the most valuable aspects of boosting neurotransmitters nutritionally to affect perception, mood, or addiction is that the patient’s normal transmitter production, release and reuptake systems are still in control. Better still is that once the desired neurotransmitters are up and running, the neural pathways and connections strengthen themselves (AKA learning) to the point where the nutritional supplementation can often be tapered and discontinued after 6-8 months of sustained improvement. If you are suffering from mental health issues like anxiety, depression, OCD, chemical substance addiction of any kind, or if you are tired of the expense and side effects associated with psychoactive pharmaceutical drugs, please consider becoming a patient of mine or finding a knowledgeable practitioner of nutritional mood modification. Dr. T.R. Morris is a licensed naturopathic medical doctor (ND). 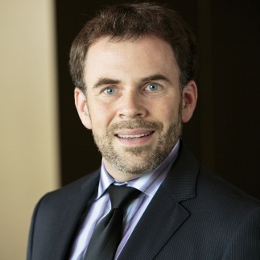 He is currently serving as faculty and consultant to the Institute for Functional Medicine (IFM). The IFM mission is to revolutionize medicine by teaching the latest genetic, nutritional, hormonal and other biochemically-based integrative medicine techniques to MDs and other practitioners looking for new tools to prevent and treat chronic disease. In the past, T.R. served as the medical director of a large integrative clinic and taught (genetics, physiology, biochemistry, microbiology, cellular & molecular biology) for 10 years for various medical programs in the Puget Sound. He sees patients in person (or long-distance via Skype consultations) from his home office in Seattle’s Ballard district.